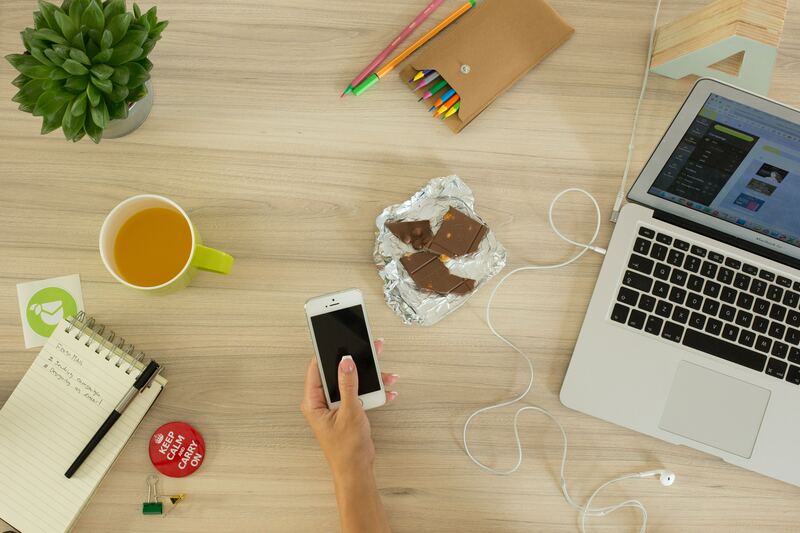 Food is an integral part of traveling especially when you want to experience the culture of the place rather than going sight seeing or sitting in a resort eating standard food. For me it is more important cause, well, I love food. So, the research for what to eat and where to eat in Udaipur started as soon as I planned the trip. 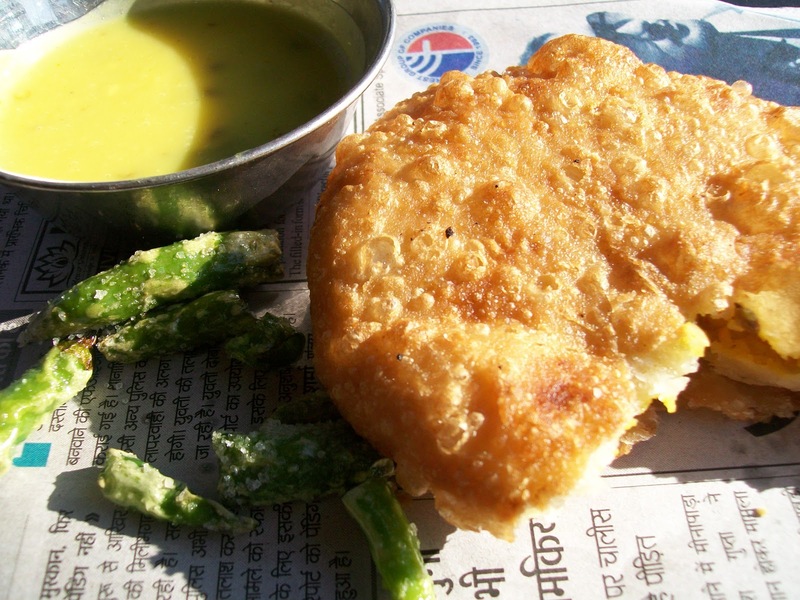 For those who don’t know, Rajasthani food is a lot more than just dal-bati-choorma. 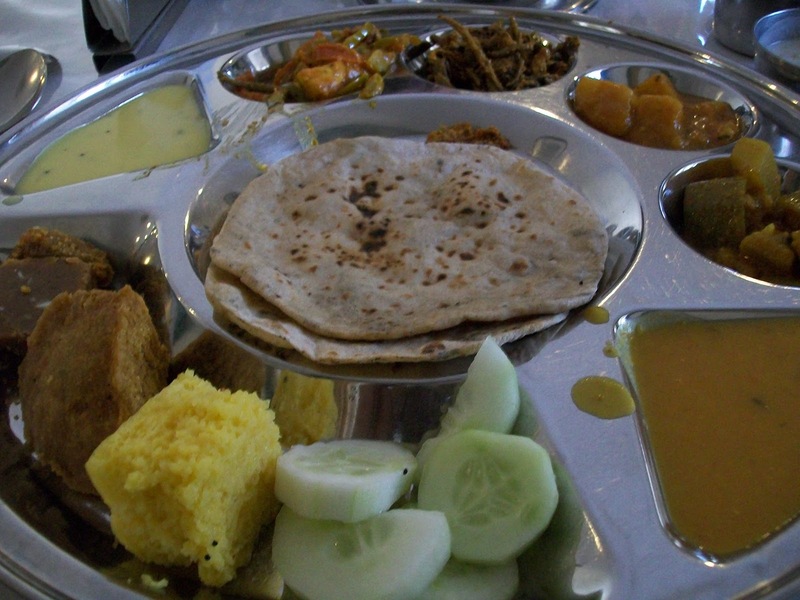 There’s a whole range of vegetarian and non-vegetarian dishes especially in the Mewari cuisine. 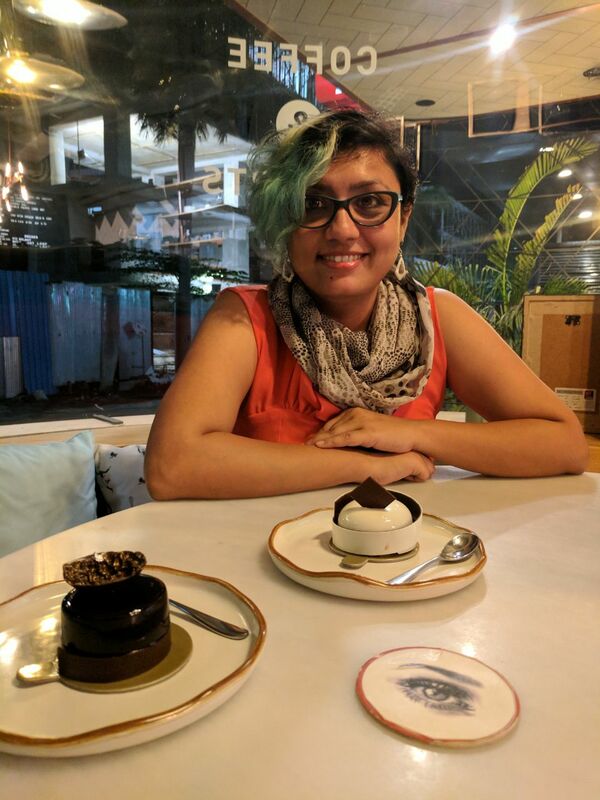 In this post I have tried to include all that I ate (good or bad) in Udaipur. A lot of recommendations and help came through Twitter and Lonely Planet and I tried my best to go to each and every place. The food journey started from the train itself when we got down at Ratlam station to get something to eat and got this awesome plate of pohe. They were very cold thanks to the weather. Still we sprinkled some fiery Ratlami sev on it that we had just bought from a vendor. I am amazed at the sheer variety we create with something as simple as flattened rice or pohe. 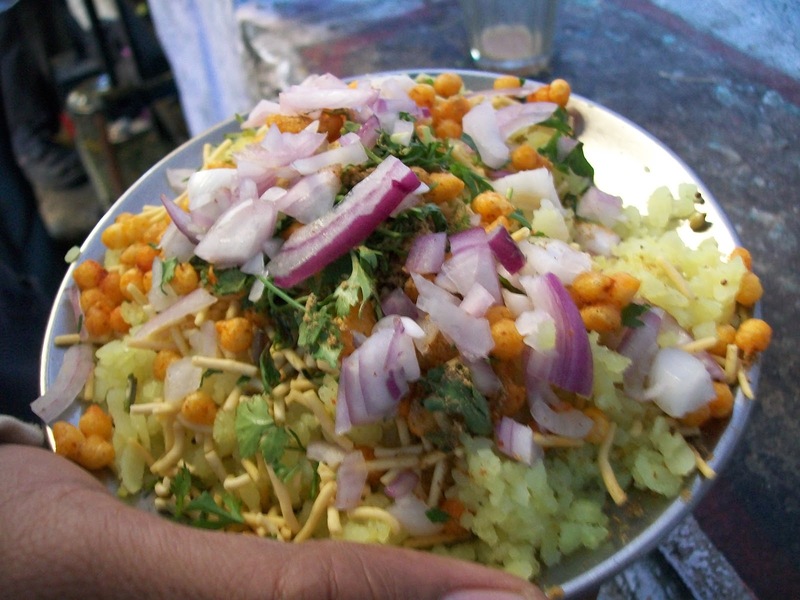 Unlike the pohe in Mumbai which are made with onions, potatoes and groundnuts the pohe in Ratlam were plain, without onions, just garnished with coriander and lemon juice. 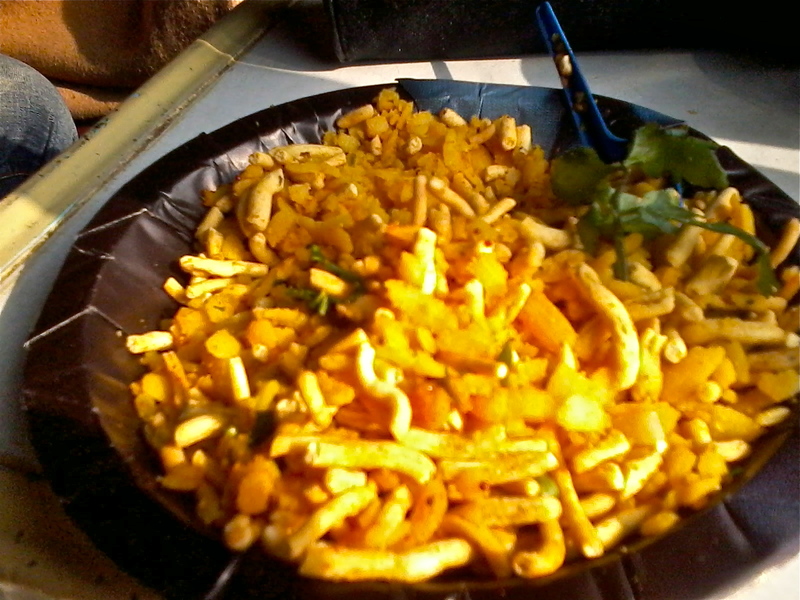 The version of pohe served in Udaipur is completely different from the above two. Here, they taste a little sweet and are garnished with chopped onions, fresh coriander, crunchy namkeen and jeeravan masala. The last ingredient is a taste enhancer which is a mix of various Indian spices and is normally used instead of chaat masala. I was introduced to this spice by Amrita Rana who bought me a packet from Indore. Well, the guy at the shop was glad that I knew about it :D.
We reached Udaipur just before sunset and trust me the view was mesmerizing. 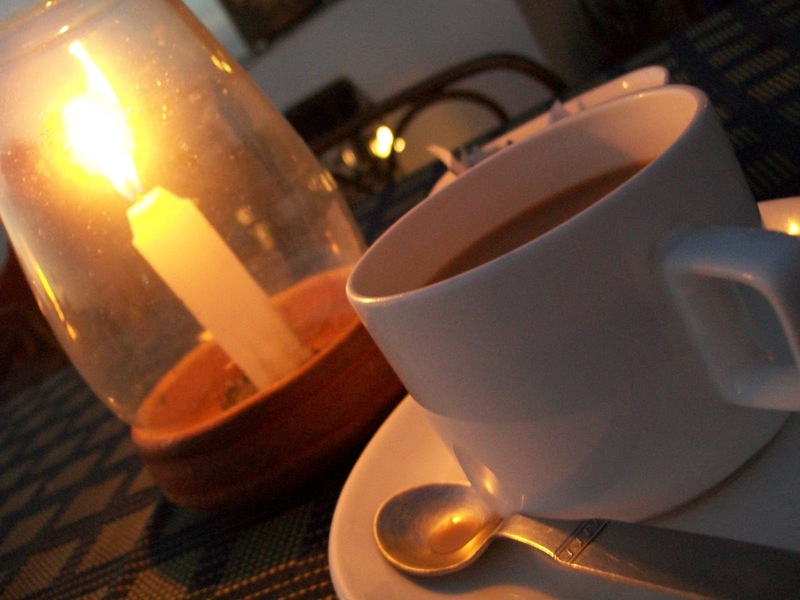 The lights at the Lake Palace Hotel and Jagdish Mandir Island came on as the sun set and we sat on the terrace downing cups of chai….well, that was the case almost every evening. The next morning we decided to take a walk around the old city and found a small shop near Jagdish Temple which sells pohe, kachori, samosa and chai. This is where we had the pohe too. The samosa chat was average but we loved the urad stuffed kachori chaat. Both were prepared with dahi, chutney and lots of namkeen and groundnuts/peanuts. It’s a perfect place to have an early breakfast while you watch the city waking up and getting started with their daily routine. 2 Kachoris, 1 Samosa, 1 Pohe, 2 cups of chai costed us Rs 75. Another place highly recommended for breakfast is Cafe Edelweiss, commonly known as German Bakery. 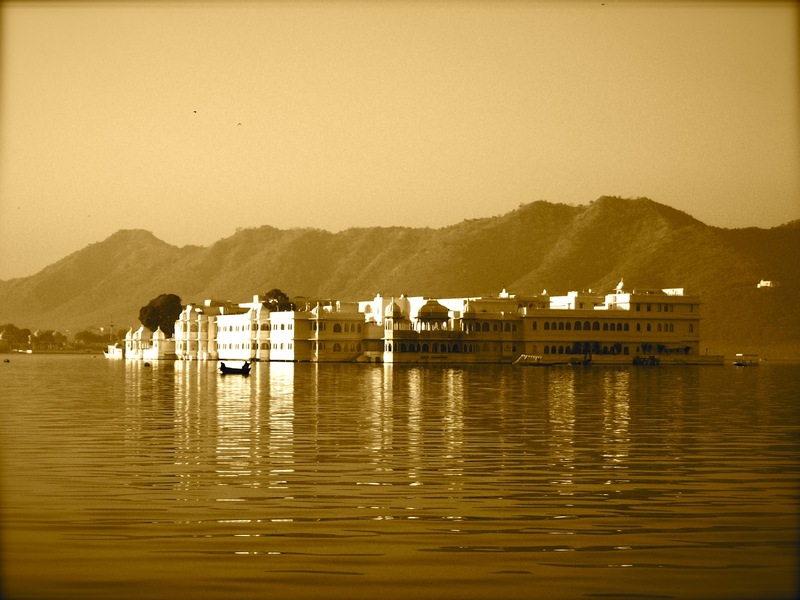 It’s located at the Laal Ghat on Lake Pichola and is very close to Bagore Ki Haweli. The small cafe is generally flocked by foreigners. We decided to grab a quick breakfast before heading out to explore the city. We spent a modest Rs 210 on 2 cheese omlettes, 6 toasts, 1 capuccino and 1 really yummy hot chocolate. 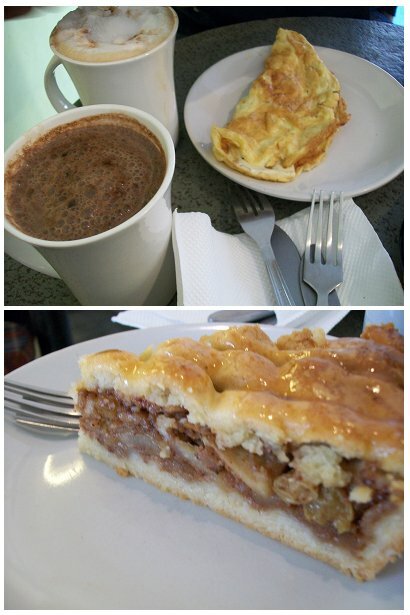 During my stay also tried their apple pie – soft crust and very mildly sweet. The mocha cake was too dry and I couldn’t finish the whole piece. 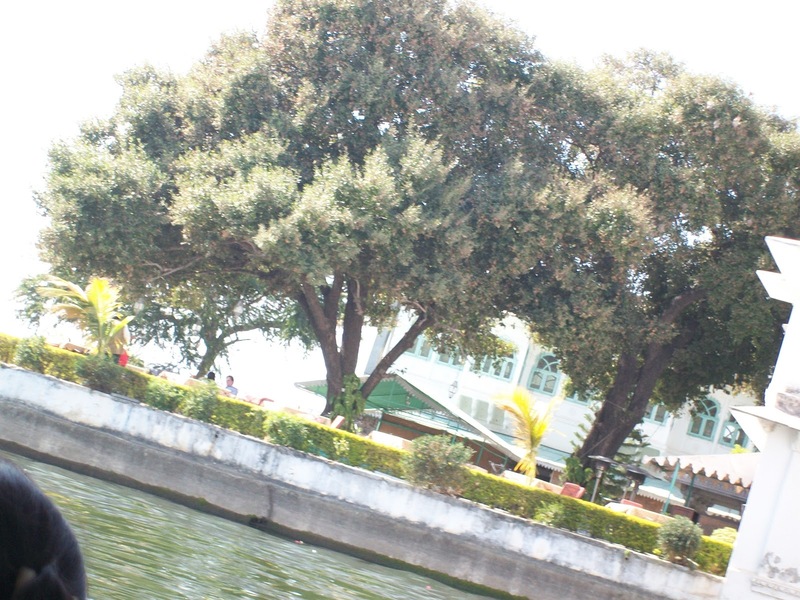 After exploring the city on foot we decided to take a rickshaw from Fateh Sagar Lake. 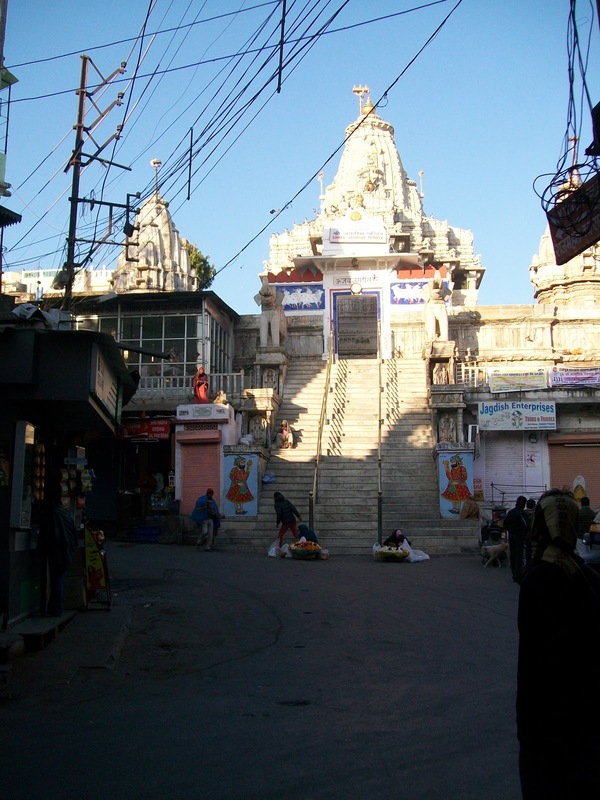 The guy charged us Rs 400 and took us around Saheliyon Ki Bari, Bhartiya Lok Kala Mandal, Shilpgram and Sajjangarh Palace. At Shilpgram we stopped to have a dal-bati-choorma lunch and oh! boy, that was some lunch; three fried batis served with dal, kadhi, gatte ki sabzi, salad, pickle and choorma laddoo. All we wanted was find a little shade under a tree and doze off. A thali costed us Rs 100. Despite so much food all through the day we had built up quite an appetite for dinner and headed to Ambrai Restauarant. Located at the edge of Lake Pichola this open air restaurant gives a good view of the Lake Palace Hotel and City Palace. The laal maas here is a must try. It’s a slow cooked mutton curry where Jodhpuri or Mathaniya chilis play very important role. We also had tangdi kebab and mutton boti kebab their, very succulent and very well marinated. We spent around Rs 4000 for 1 chicken tangdi kebab, 1 mutton boti kebab, laal maas, dal tadka, 1 rice, 2 missi roti, kheer and a bottle of Sula Brut. The current Maharana of Udaipur Shreeji Arvind Singh Mewar has a meuseum where he keeps his collection of vintage cars. We didn’t enter the museum but did have lunch at the vegetarian restaurant. 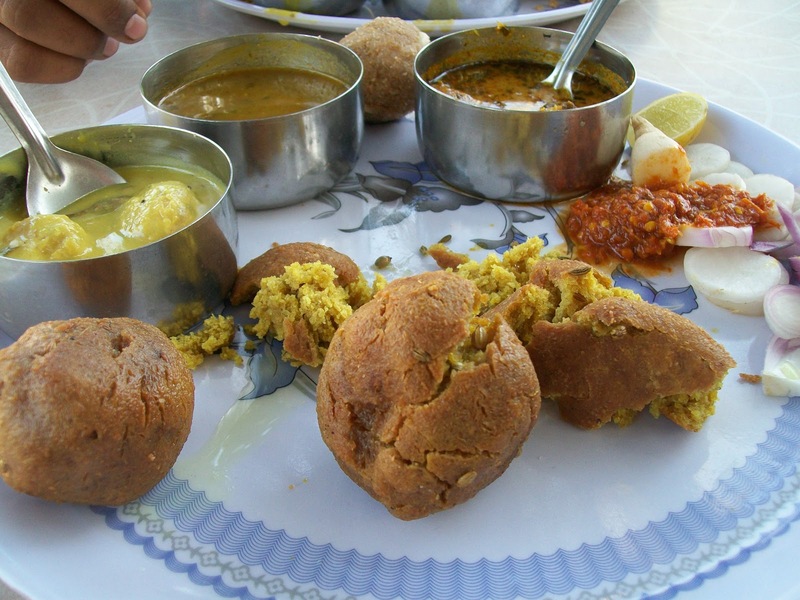 The restaurant only serves thali with a traditional Rajasthani food. We were served ker sangri; a dish made of local beans and berries, kadhi, dal, potato sabzi, paneer sabzi, bottlegourd sabzi, chapatis, bati, rice and a sweet. All of it was wiped off and we overate thanks to the hot, ghee smeared chapatis. 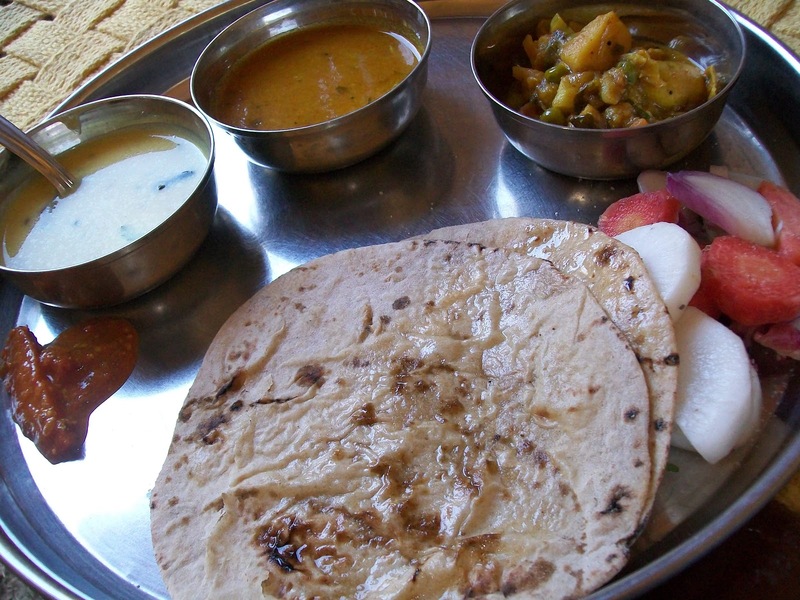 One thali was priced at Rs 150 and included unlimited servings. Since the day I planned the Udaipur trip I was vehemently looking for the restaurant recommended by Rocky and Mayur in their show Highway On My Plate. 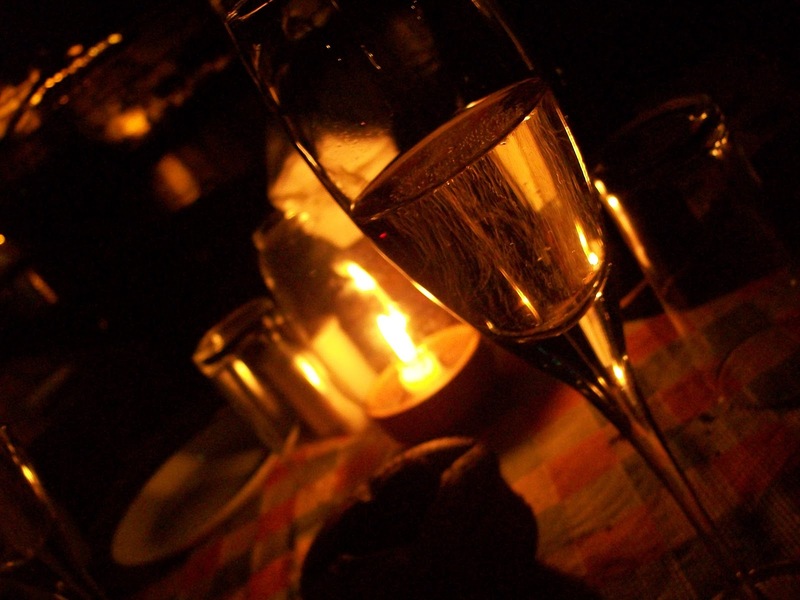 The hunt ended at Savage Garden located in the by-lanes of Chand Pol. 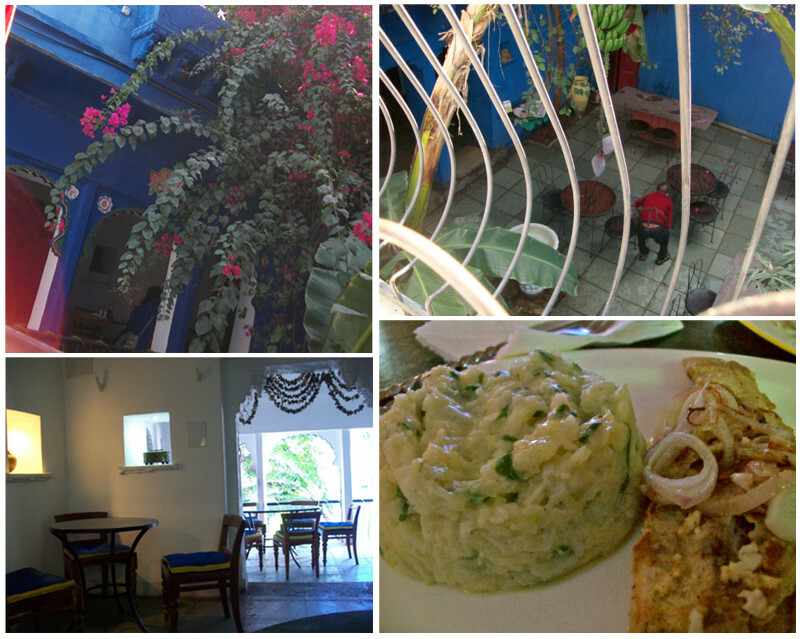 The restaurant is painted all blue and has loads of bouganvilla all over its walls. In fact, the whole city is flooded with bouganvilla and looks absolutely beautiful. They are famous for their salmon preparation but it was the grilled singada that bowled me over; mildly flavoured, crispy fish served with a huge portion of mashed potatoes. The husband fell in love with spinach and mushroom ravioli. It was a surprise for me to find a place in Udaipur serving such great Italian/Continental food. We spent around Rs 700 on a bruschetta, a grilled fish and a mushroom and spinach ravioli. On the fifth day we made a day trip to the Kumbhalgarh Fort and on our way stopped over at this tiny eatery for onion kachoris. The picture speaks a thousand words and the kachoris were as oily as they look in this pic but tasty nonetheless, served with a yellow kadhi kind of chutney and fried chillis. From Kumbhalgarh Fort we went to HaldiGhati Museum. Along with the very facinating museum there’s a small restaurant where you get homemade food. We had a very satisfying lunch of dal, kadhi, potato sabzi, hot chapatis and rice. An unlimited thali costs Rs 80. 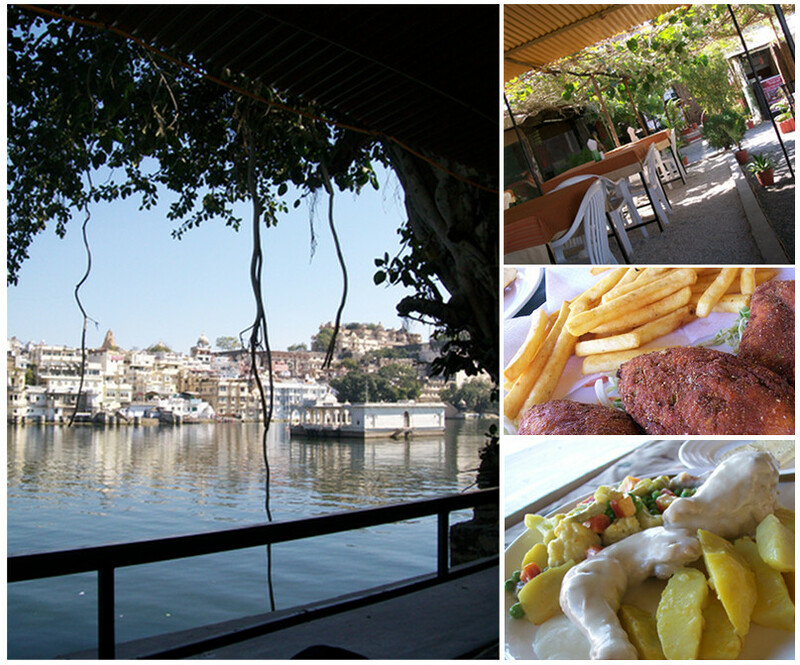 On the last day of our trip we went to this lake side restaurant called Food Club. Well, the location of the restaurant was better than the food itself and I would suggest you go there just to grab a drink and stick to the standard fish and chips or French fries. 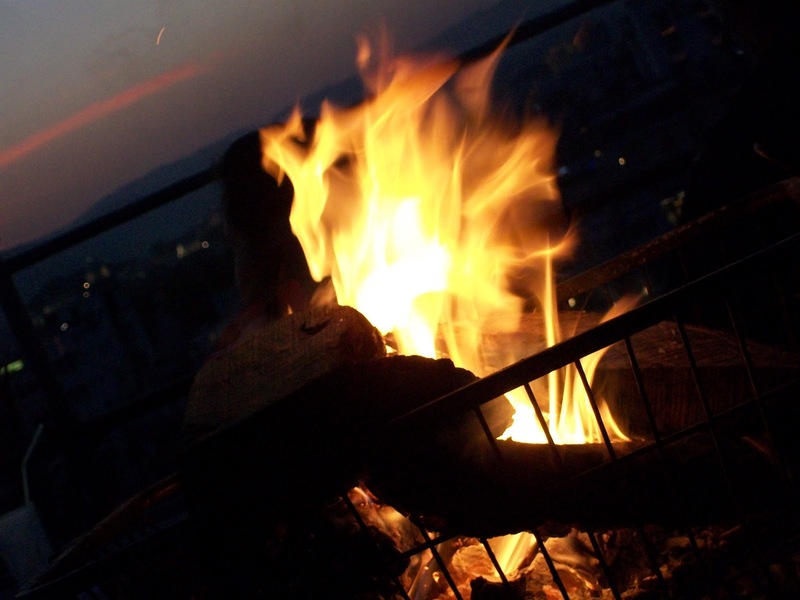 Finally, the good days of sipping chai and siting near the fire got over and we had to come back. There were a lot of recommended restaurants like Natraj and Santosh Bhojanalay that I missed out. Will check them out on my next trip to this beautiful city which I will plan soon.